People may not wholeheartedly believe in a large creature in Loch Ness, but the image of a prehistoric beast continues to pervade cultural imagery. Two items came up recently to demonstrate this. 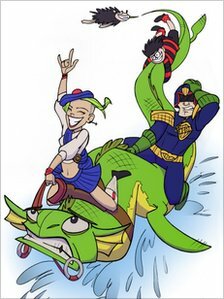 The first is the poster for the next Highlands Comic Convention in March 2012 showing Tank Girl, Judge Dredd, Dennis the Menace and Gnasher riding on a less than willing Nessie. (Note to US readers, Britain has its own version of Dennis the Menace). Full story at BBC website. 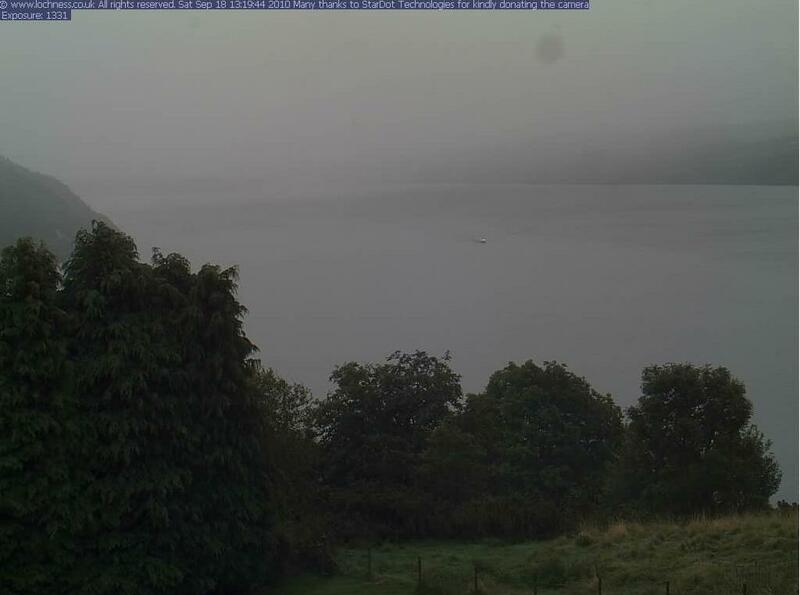 It is a source of confusion to me why Nessie is so often portrayed in green in cultural references when she is actually uniformly reported as various shades of grey. The artist has also dispensed with the long neck approach here. The second is from the series of TV adverts created by the makers of "Scotland's other National Drink" - Irn-Bru. This drink is sometimes recommended as a hangover cure after imbibing Scotland's main national drink (i.e. whisky). The advert linked to YouTube below is a rerun based on the successful cartoon from the 1980s. 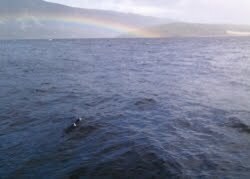 Look out for Nessie swimming below around 30 seconds in! Since the advert wishes everyone season's greetings, I will now take the same opportunity to wish readers a Happy Christmas and I will post again once the effects of the turkey, pudding and alcohol has finally dissipated! Alex Harvey and his The Sensational Alex Harvey Band had a string of hits in the 1970s but one album he produced in 1977 took an entirely different tack altogether. Entitled Alex Harvey Presents The Loch Ness Monster, his interest in Nessie is evident to see in this collection of eyewitness accounts. Some accounts such as Frank Searle will no doubt be viewed with disdain. Alex Campbell's account of something he earlier said was cormorants is controversial. The rest are people largely removed from the Loch Ness investigation scene and were just ordinary people going about their lives before being stopped by something regarded as extraordinary. Frank Searle is well known to Loch Ness researchers and is held in varying degrees of contempt, hatred and sympathy depending on who you talk to. I have already briefly talked of him here but in our occassional series of book reviews we come to his small 16 page work "The Story of Loch Ness" published in 1977. Frank wrote four books, one which was unpublished and was reviewed by me in the link above but this small work seems to have been privately published and was aimed at a more local level for tourists and other interested individuals. I say privately published because I do not see the work listed at the National Library of Scotland and anything published in the public domain almost inevitably reaches their vaults (finding a copy even in this Internet age is not easy, I will pay £20 to anyone that wishes to part with it). The only reason I could read a copy was due to its availability as an ebook purchase (which you can read about here). The booklet was published at a time when Nessie interest was at a new high, possibly higher than the 1930s. 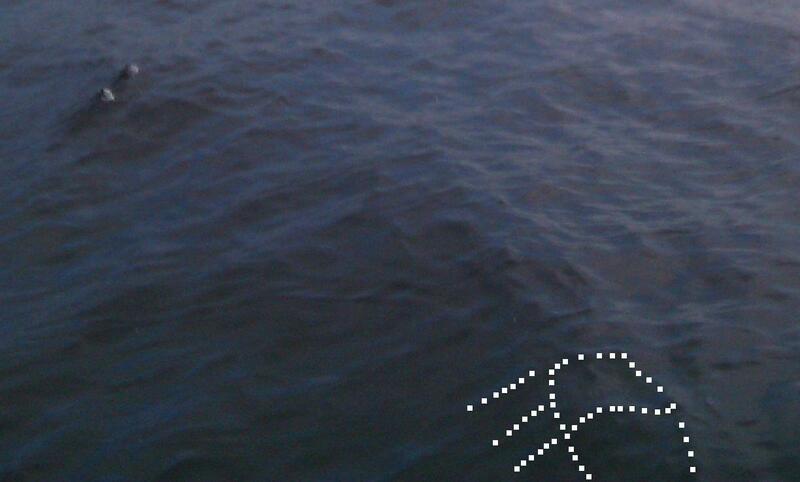 As a result, many books were published on the Loch Ness Monster aiming to cash in on the heightened public interest. In that regard, Frank Searle's book is no surprise though it has to be said that his other work "Nessie: Seven Years in Search of the Monster" was more aimed at the general paperback market. Being such a small publication aimed at people new to the subject, one would not expect anything groundbreaking as it runs through various facts about Loch Ness and its famous inhabitant. Once again, Frank's antipathy to large, organised searches is evident as he talks about the failure of the Loch Ness Investigation Bureau or any other visiting teams to find any cast iron proof of Nessie. It seems from his statements that surveillance of the loch by the LNIB tailed off in the last couple of years of its existence. Whether this was because of lack of volunteers, equipment or diversion to other activities is not made clear. However, he uses this observation to elevate the role of the single, lone observer but thirty four years on from the booklet, this method of operation has also failed to yield the final, definitive proof. 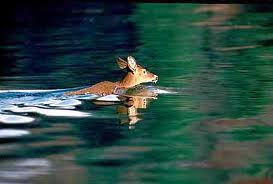 Clearly, something else needs to be thought out here (and, no, it is not to give up!). Though Frank Searle saw the monster as plesiosaur-like, he veered towards the idea of a creature that did not need to come up for air, but what he thought it was beyond that is not said. 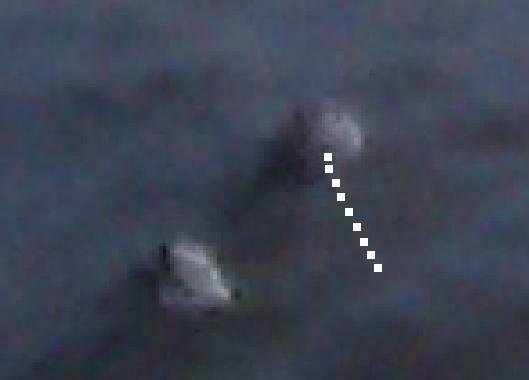 One surprising comment he made was that he did not give any credence to land sightings. I am a believer in this behaviour of the creature but Frank Searle was not convinced due to his belief that they did not breath air and would have trouble getting their large bulk onto shore plus overcoming some of the steeper shelves of the loch side. 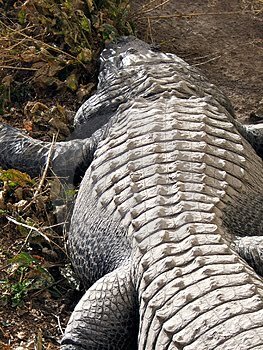 He also cites the lack of tracks, stripped vegetation (does he assume Nessie has herbivorial traits?) and the assumption that it would be so slow as to be easily photographed. I don't think these are issues if they are thought through more deeply, and I will address these on a more dedicated posting. But overall it was a good read and worthy of inclusion in any one's Loch Ness Monster library. As mentioned previously, I trawled through the archives of the Daily Express a while back and came up with some tidbits which though not solving the mystery, add some mystique and humour to it. This clipping is from the 27th December 1933 and concerns the finding of some unidentified bones. 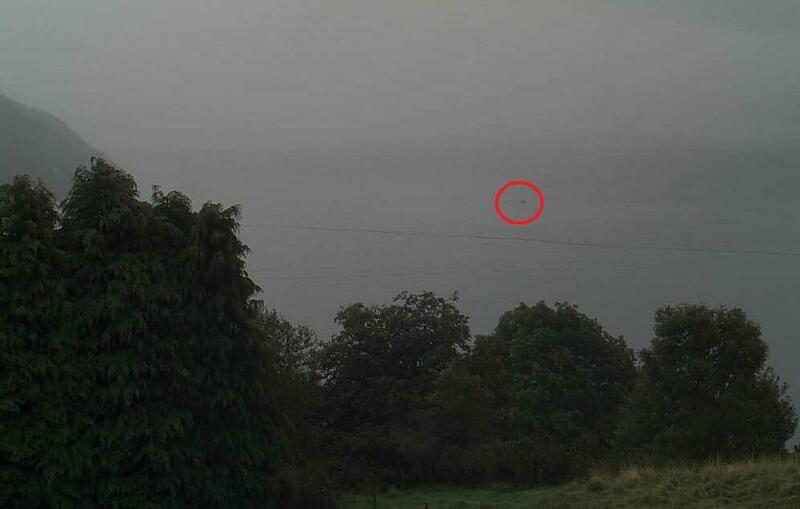 The story is rounded off with the latest reported Nessie sighting. THE Loch Ness monster, though it has remained as elusive as ever during Christmas, has acquired a family tree and heaps of bony remains. While taking experimental photographs at the loch, Mr. E. Dean, a London photographer, discovered nearly two hundred pieces of bone and teeth, some of which the Inverness Museum authorities are unable to identify as belonging to any known animal. A number of bones among the remains, according to the museum authorities, are bigger than those of a horse, and include what appears to be a talon or claw-bone larger than is found in any known beast or bird. Yesterday I saw Mr. Dean with a large box of relics which, at the request of the Inverness Museum, he is taking to the South Kensington Museum today tor examination. 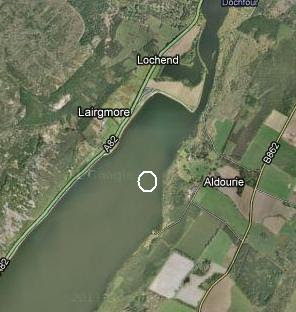 Mr. Dean emphasises that he did not go to the loch with the intention or even the hope of finding relics, remains, or footprints. 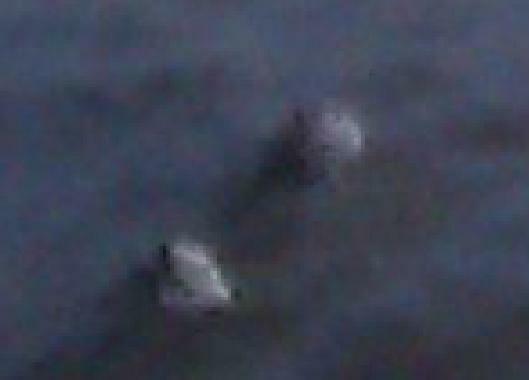 Yet It was in less than an hour that he made this discovery "I was taking general photographs of the loch," said Mr. Dean "I was in a lonely spot on the way to Fort William, on a piece of beach that has never been uncovered before this year." "While scraping the beach to make a level stand for my camera I uncovered the first bone. I dug a bit more and found hundreds." Scottish experts state that the age of the bones is about 150 years, though they are not all from the same animal or creature. There are still hundreds of bones left on the beach, according to Mr. Dean, who says that they run in a line right down the beach and under the waters of the loch. Here is a new problem for monster authorities. What are these mysterious bones? Are they the remains of the monster's elderly parents or relatives? Are they the remains of a hasty breakfast enjoyed by the monster himself, when a youngster way back in 1780? Or has the monster, hunted by sightseers, pursued by photographers almost as much as a debutante, given up the unequal struggle and died peacefully in a quiet corner of the loch? Are these bones. In fact . . . the monster? Late News: Dr. J. Kirkton, medical officer of Fort Augustus, reports that he saw the monster yesterday. "It bore the resemblance of a boat, but it proceeded with a leaping motion and threw up a considerable volume of spray," he says. 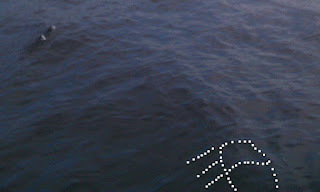 "It appeared to be black and about three feet protruded above the water." So the bones were taken to the Natural History Museum in London but after that we learn nothing else. Presumably the staff there (which at that time included a certain Maurice Burton) diagnosed something familiar but it would have been nice to know what. I suspect Mr. Burton was familiar with the matter but whether he published on it I cannot say for certain!